Lots of work around the house and yard today. I thought we were supposed to ride, but it got pushed back a day… instead I worked on my garden and I have all but three plants in the ground, two tomatillos and garlic chives… 97% of my flowers, veggies, and herbs are finished… Now, a little more sunshine would be oh, so helpful! Tomorrow, I may take the Rhino, and Eden and Lucas, out to help for a bit… we are gathering the badlands pasture. Normally, I’d be riding my horse… but if I can count, tomorrow should be Dally’s due date! I’m abandoning ship to be by her side, a fresh bottle of oxytocin in hand just in case! I’m paranoid since she lost those four pups her last litter. Since both Tess and Megan are riding, as well as Megan’s brother… I feel OK staying at home. I did want to take Lucas and Eden though… ah, decisions! A simple mountain scene. 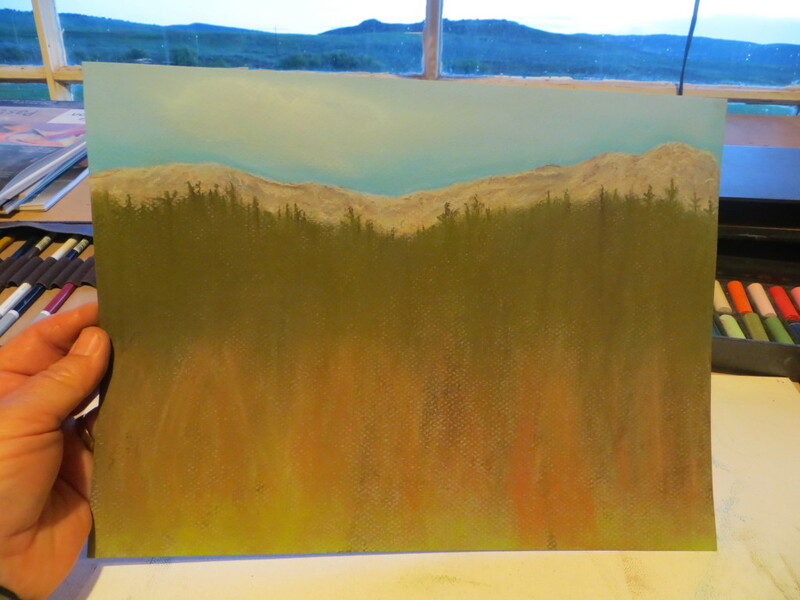 I’m working on the willows in front… I’ll add an aspen or two in there as well. I like the top third! Ah, those decisions. 🙂 Waiting to see which you did and hopefully news of healthy puppies.